Put 5 scampi on a bed of hot piperade in a bowl.Cook the scampi in a non-stick pan with butter until they are browned but not fully cooked. 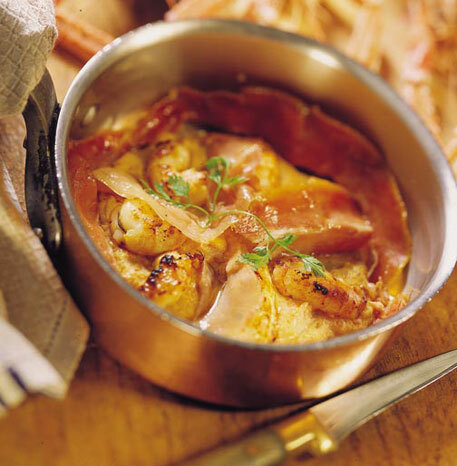 Put the Jambon de Bayonne with the scampi, surround with piperade, and add a the fish soup filtered and whipped with a little butter. Decorate with a few sprigs of dill.